The Mobile World Congress Shanghai (MWCS), is reckoned to be Asia’s largest and most influential mobile industry event. The 2016 event took place from June 29th to July 1st at the Shanghai New International Expo Center (SNIEC). The theme of the year was “Mobile is Me”. Counterpoint has pinpointed some areas distinct from previous MWC exhibitions attended in the past four years. First of all, there was a significant increase in the number of visitors over prior years – in all there were over 53,000 visitors. The latest exhibition name, Mobile World Congress Shanghai (MWCS), has provided the exhibition with a more distinguished image. It has also developed stronger coverage of ‘hot’ areas including: Virtual Reality (VR); Unmanned Aerial Vehicles (UAV); Smart City; Smart Cars etc., which have been added alongside the traditional core focus areas of smartphones and their ecosystem of software, services and applications. The boost in market demand in the Asia Pacific region has increased the relative importance of the MWCS. According to Counterpoint’s analysis, China accounts for around a third of global smartphone sales, while India has just surpassed US as the world’s second largest smartphone market. Other countries in the Asia Pacific region also have rapid growth in the demand for various mobile services. This actually leads to a huge contrast with the North American region where growth in mobile demand remains static. Economic pressure in the South American and European regions has also contributed to relatively weak mobile services demand. In consequence, more exhibitors have been attracted to the MWC Shanghai. Pioneering players in the industry, such as Micron and SanDisk, are noted to have joined the MWC exhibition for at least four consecutive years. New mobile phones must support Voice over LTE (VoLTE) by default. Since January 1, 2016, CMCC has introduced support for VoLTE voice calls. From October 1, 2016 and January 1, 2017 onwards, CMCC is expected to support VoLTE by default and VoLTE video calls respectively. CMCC expects that from May 1, 2016 onwards, all mobile phones costing over 1,500 yuan (US$c220) should support downlink dual CA. From October 1, 2016, mobile phones costing over 2,000 yuan (US$c300) should support the enhanced Multi-Frequency Band Indicator (mFBI) and uplink dual channel CA. From 2017 onwards, the upstream rate should be further enhanced, support dual channel CA and uplink 64QAM. Both uplink and downlink 64QAM 256QAM will be supported from 2018 onwards. 4G+ devices would loosen the restrictions as all kinds of networks, five and three- models mobile phone. With the prerequisite of opening VoLTE by default, So 4G+ devices has got to become more free. 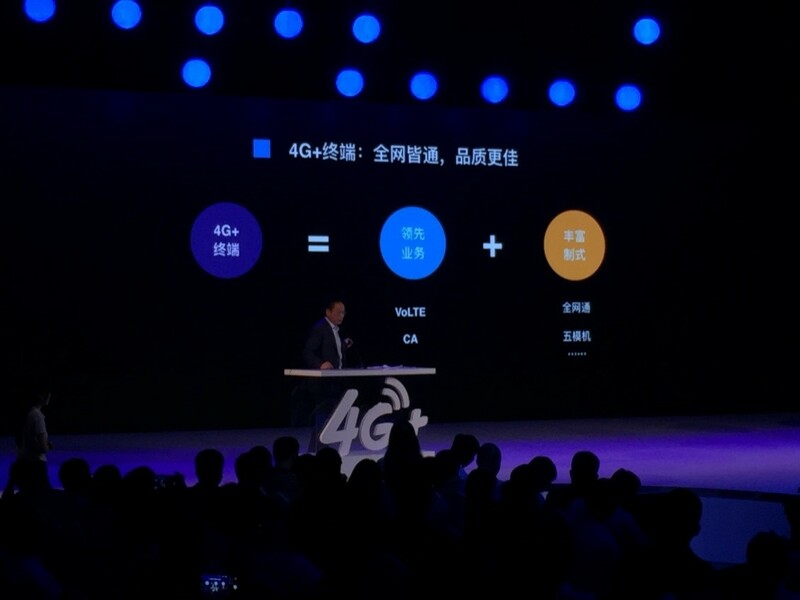 In short, the strategy on “redefining 4G +” can be interpreted as the development of higher quality VoLTE calls, more rapid and extensive deployment of CA, the relaxation of devices restrictions, and the increase in industrial collaboration with VR, 4K etc. Counterpoint assumes CMCC’s ultimate goal for “redefining 4G+” is to save on its own communications costs and resources. The result should encourage both industrial development and improved communications experience for consumers with the ultimate net result being to protect CMCC’s revenue and profit streams. * Carriers: Carriers should always give priority to guaranteeing a communication platform with high standard of quality and safety. A proper subsidy policy should be implemented in order to guide the corresponding development of the 4G+ handset business. Long-term strategies are to be carried out to avoid any waste of resources. CMCC, together with the other major carriers, should formulate unique strategies respectively and promote fair competition. * Devices: Mobile phone manufacturers, with the prerequisite on quality guarantee, should collaborate actively with the operators and work alongside telecom policies. * Channel: Solid inventory control must be exerted upon 4G+ products so the needs of telecom operators can be fulfilled. * Supply Chain: Pioneering players in the silicon chip, memory, Original Design Manufacturer (ODM) and devices areas should take advantage of the 4G+ development time frame. Proper and steady supply should be ensured, and backlogs or supply shortages should be minimized. 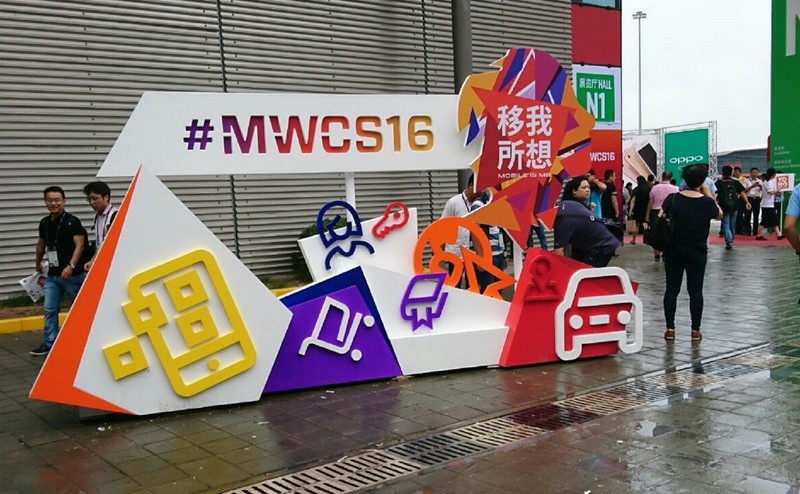 During the MWC 2016 Shanghai, key players such as CMCC and Huawei all mentioned about the forthcoming 5G era, which is expected to come in 2020. Meanwhile, players along the corresponding industry chain, from the government to the operators, equipment manufacturers, chip providers etc., are all actively involved in preparing for the 5G era. For example, the Chinese government has recently issued five white papers, stating its vision on 5G and the technology framework involved. The 5G related technology research and tests have also been officially launched. The President of CMCC, Mr. Lee Yue, suggested that by 2020, 5G should be promoted in commercial use (see chart). CMCC, through the building of a 5G joint innovation center (currently with 39 partners), intends to establish a “5G ecology”. At the MWCS, Huawei displayed its latest achievement on 5G – demonstrating a low frequency 3.5GHz 5G prototype, high frequency 6GHz 5G prototype, 5G network chip solution etc. 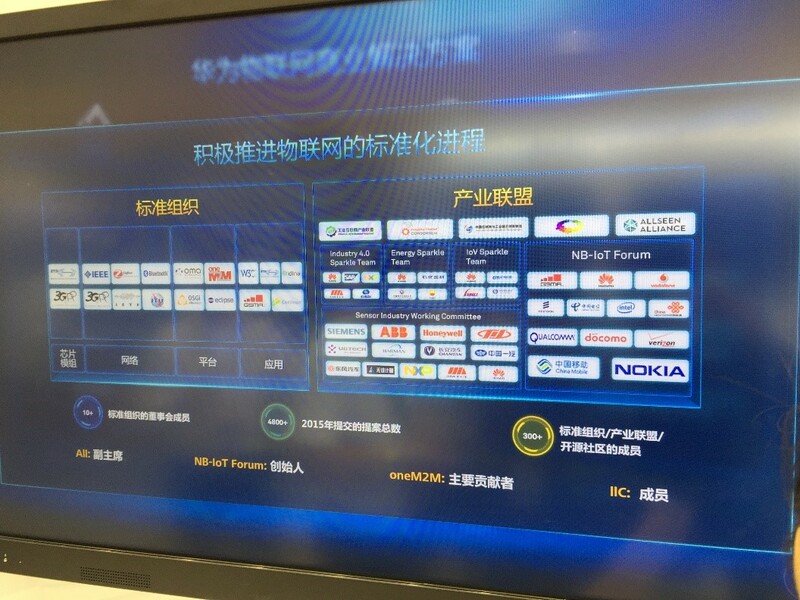 Also, CMCC and Huawei have jointly demonstrated the vision on 5G car networking. Qualcomm also revealed its 5G wireless prototype system. 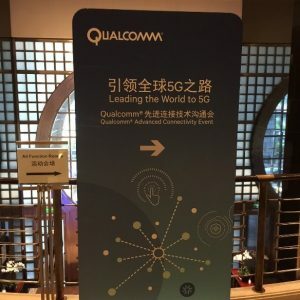 The Qualcomm related parties have also shared with Counterpoint their point of view towards the latest 5G developments. Counterpoint believes that the 5G network speeds will be up to 10x faster than the current 4G network speeds and will serve as a communication support to other intelligent hardware development. Counterpoint expects that the Asia Pacific region will likely become the first 5G network trial region. Both Japan and South Korea are expected to launch the first series of 5G commercial test in 2018, before 5G starts in earnest commercially from 2020. However 5G is not standardized yet – vendors are testing hypothetical solutions that may form part of the an eventual 5G standard. Therefore 4G+ assumes a more practical role in developing the communications market toward 5G. 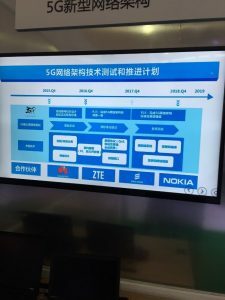 The government, together with the major chip and equipment manufacturers, is believed to assume the pioneer roles in the early stage of 5G development. Whereas mobile phone companies and distributors will get more involved after 5G enters into the formal business stage. While 5G is still a dream to be reached, Internet of Things (IOT) has already been involved a lot in our daily lives. It was a hot topic during the MWCS. 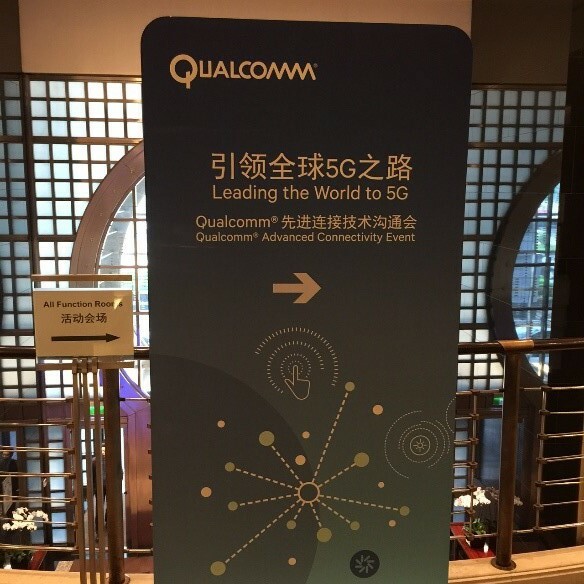 Major IoT players, such as CMCC, Qualcomm, Huawei, ZTE, Ericsson etc., have actively demonstrated their respective strategies and solutions for IoT. According to the Vice President of CMCC, Mr. Sha Yuejia, CMCC has set aside 600 million yuan (US$ 90 million) in 2016 solely for subsidizing the networking industry devices . The subsidizing scope involves chips, modules, and devices industry (including wearable device, video surveillance, PoC, car networking etc.). In order to receive the subsidy, the prerequisites are having a CMCC internet connection and participation in the devices storage. CMCC aims at reaching 100 million IoT connections by 2016. During MWCS, a number of vendors expressed their support for the NB-IoT standard alliance. NB-IoT, founded by Huawei and Vodafone, is characterized by wide coverage, high connectivity, low power consumption, and low cost. With the increasing support for NB-IoT, large-scale launching in the commercial stage is expected to be in place in the second half of 2016. Counterpoint foresees that by 2017, China’s NB-IOT will be a break-out technology. IoT Chip: Huawei and Qualcomm have begun deploying IoT chip solutions to satisfy various needs. 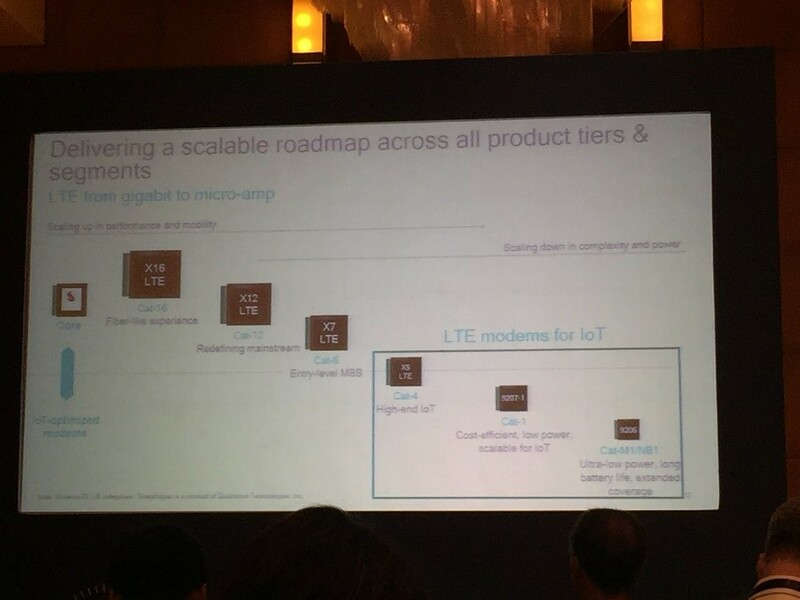 During MWCS, Qualcomm shared with Counterpoint analysts the latest LTE IoT-based solutions. The development of narrowband technology has brought the LTE technology into the IoT domain, as narrowband guarantees performance and mobility while reducing complexity and power consumption. Qualcomm has deployed three debugging modems, including X5 (9×07) which targets at high-end Internet. Low power and scalable 9207-1, and wider coverage 9X06 (NB-IOT). Based on X5 (9×07) and MDM9207-1, LTE modem commercial Internet devices are now available. The OEM manufacturers are expected to release IoT solutions based on MDM9206 (NB-IoT) by early 2017. 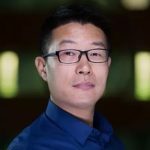 China’s prominent chip provider, Huawei Hass, has published the 6LoWPAN intelligent lighting proposal based on IPv6. During the MWC 2016 Shanghai, ISO 3GPP has announced the narrow-band Internet technology standard for NB-IoT-based cellular networks. Huawei Hass is expected to launch NB-IoT commercial chips by September this year. This signifies the foremost NB-IoT chips designed for commercial use. Its long distance NB-IoT chip will cost close to the same as short-range communications chips, thus facilitating the popularity of IoT networking. NB-IoT program (see picture below). 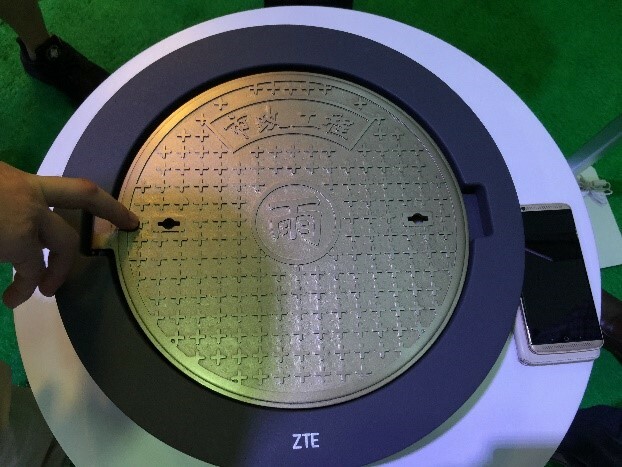 During the MWC 2016 Shanghai, ZTE Corporation demonstrated the intelligent management of municipal sewer system based on NB-IoT technology. The NB-IoT chips and modules are to be provided by ZTE itself, while CMCC will provide the corresponding communication services. Other sensors involved will be supported by other providers. In the future, sensors on temperature, water quality, and even a variety of gas detection sensors may be added. As shown above, cellular-based networking narrowband (NB-IOT) has become an important division of the Internet. It shares the characteristics of allowing lower power consumption, superior transmission signal, broader coverage etc. 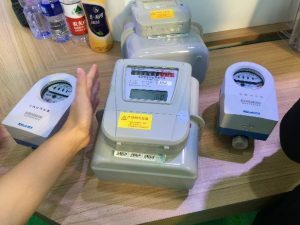 For NB-IoT programs on gas meters and water meters, data is first collected from the sensors on a regular basis. Then, the data is transmitted via the CMCC network to the Cloud, where a large database is maintained. The data collected will then assist in monitoring and controlling the gas meters and water meters. Batteries used are expected to last several months or even a year. In addition, the connection to CMCC network guarantees better safety. The application of the technology is expected to enhance meter reading efficiency significantly.